Green Chile is having its moment right now- it's popping up everywhere from fast food joints to fine dining spots! Join us in this unique event that is hyper-focused on this wonderful pepper. 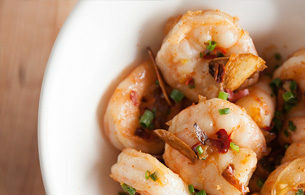 We highlight the versatility that can come from green chilies and even put it in a sweet item! You'll get the chance to see that sweet and spicy is a fun trip to send you taste buds on! Cuba, a retreat for the rich and famous during prohibition, was richly influenced by the Spanish. Combine this with some Latin flair and you can see why Cuban food is a party! Explore these vibrant flavors, distinctive seasonings and spices with your fellow diners. Not to mention you will be able to enjoy your own freshly-mixed mojitos while you are cooking and eating your flavorful creations! A cast iron pan is such a versatile tool! 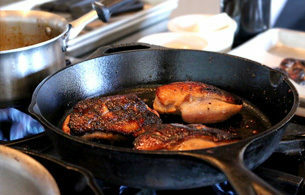 Join us to create this multi-faceted menu as we learn techniques to use your cast iron skillet in ways you never imagined. You'll fall in love with cast iron cooking and purchase your very own or start pulling that pot out of the back of the cabinet a LOT more frequently. They're not just for corn bread any more, so dive in and join us to celebrate cooking with Cast Iron! 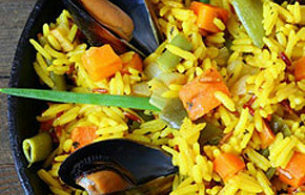 Take your senses on a trip to Spain as we dive into the art of making Paella! In this Taste of Uncorked event, join us to try your hand at creating the delicious blend of flavors, that crispy rice and the amazing aromas that you can only get with Paella. Our chef will guide your group through the experience of creating these three dishes, topping off this tasty experience with the sweet treat - Bunuelos de Viento! Buen Provecho!